Larry Kim, Aug. 10, 2017, 9:28 a.m. 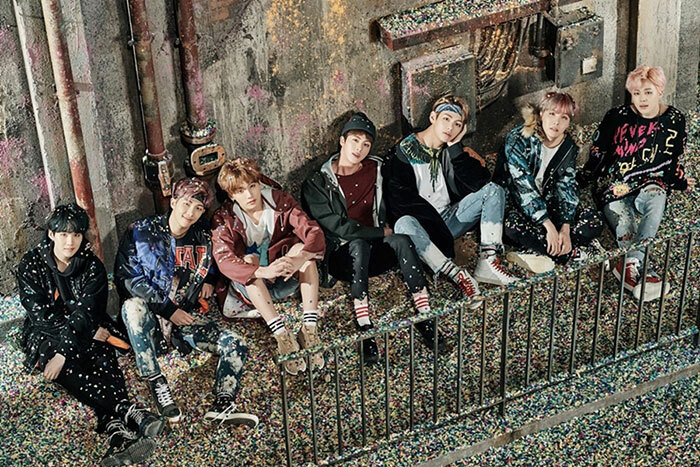 Boy band Bangtan Boys, also known as BTS, were included in the New York Time's list of 50 artists that were most viewed on YouTube in the U.S. The list was based on data from January 2016 to April 2017. The NYT on Monday featured "What Music Do Americans Love the Most? 50 Detailed Fan Maps" showing each artist's relative popularity in different parts of the country. American hip-hop singer Future topped the list, followed by female solo artist Rihanna, male duo Twenty One Pilots and Canadian pop star Justin Bieber. Bangtan Boys were not the only Asian artists on the list, but outranked prominent artists including Lady Gaga, Linkin Park and Metallica. The boys are "especially popular in Hawaii and parts of California, along with a curious pocket of fandom in northern Wisconsin," the NYT said. In June, Bongtan Boys were among TIME magazine's "25 Most Influential People on the Internet."